Notable Egyptian-Canadian journalist Mohamed Fahmy has spent his career in conflict zones covering major stories for outlets including New York Times and CNN. However, in December 2013, during his time as Egypt Bureau Chief of Al Jazeera International, Fahmy made international headlines when he and two colleagues were arrested by Egyptian authorities and charged with falsifying news and conspiring with the banned fundamentalist group, the Muslim Brotherhood. He was incarcerated for 438 days alongside ISIS terrorists and jihadists, during which time Egypt’s government faced mounting pressure to release the three journalists. In September 2015, the government pardoned Fahmy, allowing him to return to Canada, where he joined UBC’s School of Journalism for a term as a visiting professor. How did his incarceration change him personally as well as his views on media control and press freedoms? What role did diplomatic relations play in this case? Mohamed Fahey shares his story with the UBC alumni community. Moderated by Margaret Gallagher, host of CBC Radio One’s Hot Air. Master Mind Master Class is a new alumni UBC event series, offering an unprecedented look into the minds of modern thinkers making a unique impact on the world, and the lessons they’ve learned. Mohamed Fahmy is an Egyptian-born Canadian, award-winning journalist and author. Fahmy started his career covering the Iraq War in 2003 for the Los Angeles Times and has worked extensively in the Middle East, mostly for CNN. Most recently he covered the Arab Spring. In September 2013, he accepted a new post as the Al Jazeera English Bureau Chief based in Egypt. Four months into the job he was arrested and wrongly imprisoned on trumped up terrorism charges for 438 days. Upon his release last September, he joined UBC as an adjunct professor and started the Fahmy Foundation to provide financial assistance and advocate for journalists imprisoned worldwide. He is currently working on a new book about his experience. This event took place on Tuesday, January 19, 2016, 6:30-9:00pm in the Jack Poole Hall, Robert H. Lee Alumni Centre. September 22nd, 2015 by Karen Ng | Comments Off on Water worries: What is the state of our most valuable resource? Posted in alumni, alumni UBC, community engagement, Events, Sustainability & Environment, ubc dialogues, water worries, Webcasts | Comments Off on Water worries: What is the state of our most valuable resource? Wesbrook Talks presents The Right Honourable Beverley McLachlin, P.C. March 24th, 2015 by Kristen Wong | Comments Off on Wesbrook Talks presents The Right Honourable Beverley McLachlin, P.C. Webcast sponsored by the Irving K. Barber Learning Centre as part of the Wesbrook Talks event at MBA House in Wesbrook Village. On March 3rd, alumni UBC and Wesbrook Village presented the third in the series of Wesbrook Talks, featuring former UBC Law professor and honorary UBC alumna, The Right Honourable Beverley McLachlin, P.C., LLD’90, Chief Justice of Canada. Find out how she became interested in law and hear about some of the influences that have shaped her long, successful career. The conversation will be moderated by Mary Anne Bobinski, Dean and Professor, UBC’s Peter A. Allard School of Law. Beverley McLachlin is the 17th and current Chief Justice of the Supreme Court of Canada, the first woman to hold this position, and the longest serving Chief Justice in Canadian history. In her role as Chief Justice, she also serves as a Deputy of the Governor General of Canada. In 1980, she was appointed to the County Court of Vancouver and then to the Supreme Court of British Columbia. In 1985 she was appointed to the British Columbia Court of Appeal, three years later in 1988 she was appointed Chief Justice of the Supreme Court of British Columbia. She was appointed as a Puisne Justice to the Supreme Court of Canada on 30 March 1989 and was made Chief Justice of Canada on 7 January 2000. Posted in alumni, alumni UBC, ikblc, Webcasts | Comments Off on Wesbrook Talks presents The Right Honourable Beverley McLachlin, P.C. Webcast sponsored by the Irving K. Barber Learning Centre and hosted by alumni UBC. Your resume lists the best schools (naturally) and your experience and skills meet the requirements of the job There’s no single path to becoming a successful leader. Although hard work and foresight are important traits, it sometimes comes down to being the right person at the right time. But there are concrete steps you can take to ensure that when opportunity knocks, you’re ready to answer. Join us for Your Next Step: Becoming a Leader where business and community leaders will offer insight on how they got where they are. They’ll share key pieces of advice from their own journeys as well as tips on how to get your foot in the door, find a mentor, and develop your leadership skills. If you’re looking for inspiration and guidance on how to join the leadership ranks and advance your career, this is your opportunity to learn from some of Canada’s most successful leaders. Wendy Lisogar-Cocchia, BA’86 – Chief Executive Officer, Century Plaza Hotel & Spa and Absolute Spa Group. Named one of Canada’s most powerful women. Cybele Negris, BA’91 – CEO and Co-Founder, Webnames.ca Inc. Named one of BC’s Most Influential Women in Business. David Ostrow, Honorary Medical Alumni Award recipient – Interim President and CEO, Fraser Health; Professor of Medicine, UBC. Foremost leader in the medical industry. The next Award recipients won’t raise their own hands. That’s why we need you. The accomplishments of the members of UBC’s global community of alumni represent an inspiring account of positive social, cultural, and economic change in the world. UBC Dialogues: Should We Have the Right To Die? November 11th, 2014 by allancho | Comments Off on UBC Dialogues: Should We Have the Right To Die? 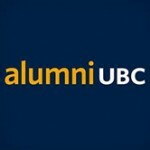 Posted in alumni UBC, community engagement, Events, Featured, health, ikblc, News | Comments Off on UBC Dialogues: Should We Have the Right To Die? Webcast sponsored by the Irving K. Barber Learning Centre and hosted by alumni UBC. Your resume lists the best schools (naturally) and your experience and skills meet the requirements of the job postings you come across. Yet despite looking good on paper, your applications don’t seem to be translating into calls and interviews. So what are you missing? How can you get into the head of the people doing the hiring? What are employers really looking for? What you need to do to make employers’ shortlists. You’ll get tips on building your soft skills, as well as personal insight from actual employers about what they look for in candidates’ resumes and cover letters. This event took place October, 21, 2014, at the Roundhouse Community Centre in Vancouver, BC.